Saturday launched with a peanut butter sandwich in Times Square, where we met many friends, some of which we knew before we got there, but not all. 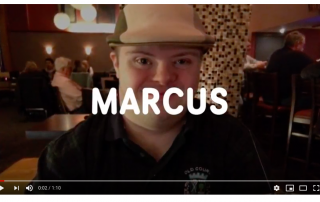 Then we watched a big screen in the city that never sleeps and saw babies we “awwwwed,” people we “Cool!”-ed, and – the man we came to see – Marcus. 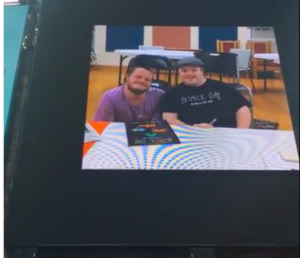 Marcus on the big screen! 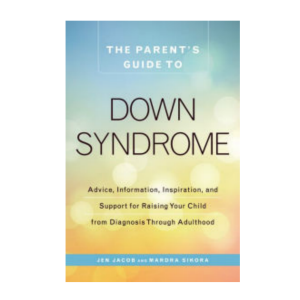 Today let’s talk about the newly published book, The Parent’s Guide to Down Syndrome.